At Brandall we are keen to help other businesses and Bunny will be giving a presentation this month to 50+ Service Leavers who are thinking of starting up their own businesses. The presentation will include the pros and cons of running your own business, useful tips, sales and marketing advise and useful contacts. Brandall offer a wide range of start up design packages and are able to give advise as well as design a complete brand from logos and stationery to websites for any one who is starting a business. A new business event is happening in Salisbury in April with a selection of speakers and many businesses attending. Organised by a handful of Businesses Salisbury City Council, Trethowans, Salisbury City Centre Management, Salisbury Chamber of Commerce and the FSB are keen to inspire local business. Brandall Design is happy to sponsor the design for the event so look out for advertising. We now design QR codes or can set up a jazzy surround for your existing one. If you are not sure about what they can do and how valuable they are then please contact us. 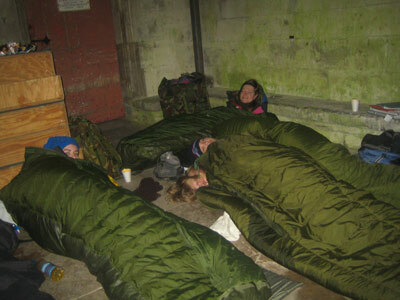 Brandall Design helped to support this charity again this year for the fourth year running and Bunny (an Army Cadet instructor in her spare time) and 6 Army Cadets slept out overnight in the Cathedral on 2nd March to help raise money for Alabaré. It was a little chilly but very mild compared to the freezing night last year. Wilton Brass Band are playing a concert in aid of 90 years of the Royal British Legion. The event is on 18th September and is organised by Alderbury & District Branch. For more information and FREE tickets click here. To find out more about the Royal British Legion and the charity work they do click here. We are super exicited to annouce that we have a new designer starting with Brandall. With an extensive porfolio and plenty experience please click here for a few samples of Emma's work. Bunny from Brandall Design helped to support this charity again this year, (a cadet instructor in her spare time) herself and 9 Army Cadets slept out overnight in the Cathedral grounds on 4th March to help raise money for Alabaré. It was a very chilly night but we all survived. We raised a total of £291.50 - thank you to everyone who sponsored us. Brandall Design and Simply Great Copy teamed up to donate a prize for THE RED HOT EVENT held at the Arts Centre in Salisbury to help raise money for the Colltis and Crohn's Charity (NACC). Organised by JM Associates the winner of the prize has donated it to Alabaré Christian Care Homes Charity and so we look forward to working with them again on another project. 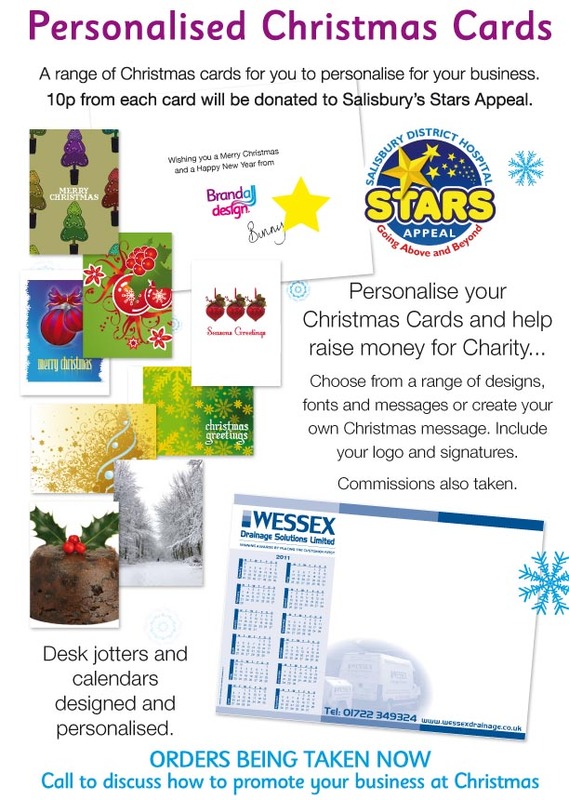 We have raised and donated £60 for Salisbury Stars Appeal through designing Christmast cards. Thank you to our customers who bought and helped contribute. Brandall Design is helping to support this charity again this year and Bunny (a cadet instructor in her spare time) and 9 Army Cadets are sleeping out overnight in the Cathedral on 4th March to help raise money for Alabaré. Please sponsor us - every £ counts. We have now been open a year and are looking forward to our second year. If you would like to help us celebrate and be in with a chance of winning a half price banner stand design and production then come to our birthday event on 1st Feb between 1800-2000. Please email for details and to RSVP. Charlity cards are back with a donation given to Salisbury Stars Appeal from every card produced. Jotter pads and wallplanners also available. Brandall Design and Simply Great Copy teamed up to donate a prize for THE RED HOT EVENT to help raise money for the Colltis and Crohn's Charity (NACC). Organised by JM Asscoiates and held in the Arts Centre in Salisbury. Teaming up with an established high end local exhibition, production and build company we now offer the whole exhibition package including design and production from the same premises at Solstice Park. Whether you require a roll up banner stand, a high end pop up stand or a custom build, together we can offer you design and production all from under one roof. Its EXPO 2010 in September run by Salisbury Chamber of Commerce. For your EXPO experience we are offering 10% OFF your premimum product exhibition graphics in August. Why not tie-in with the FREE 4 hours design service offered and you have got yourself a bargain!! Brandall Design was pleased to sponsor this local event by designing a whole range of advertising materials. Held in May at Hudson's Field, Salisbury in support of local Charity 'Stars Appeal' this was a worth while day to help the charity organised by Value Cars. Designing posters, flyers, outdoor banners and signs and also the programme of events helped advertise and create an awareness. 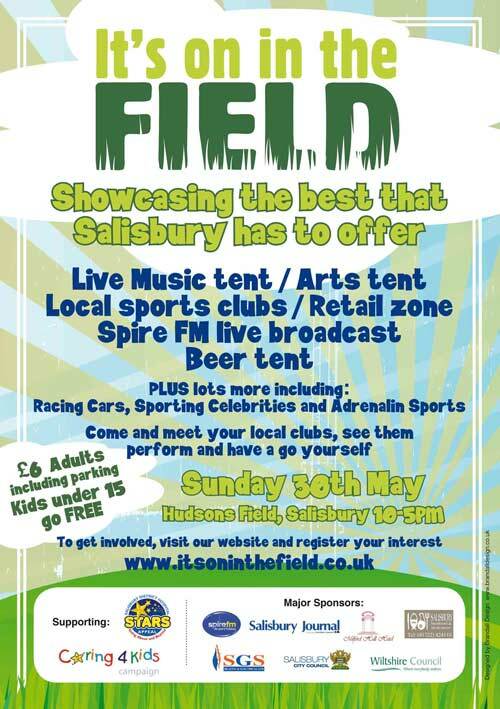 This will be an annual event continuing to show what is on offer in Salisbury. 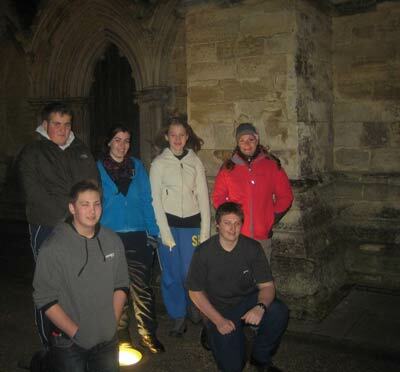 On 26th February 2010, Alabaré Christian Care Centres once again held a sponsored Sleep Out in the cloisters of Salisbury Cathedral. As an adult cadet instructor in my spare time, myself and 5 of my army cadets joined others in this event to support the work of Alabare's Homeless Drop In Centres in Salisbury and Trowbridge. Sleeping out for one night was very different to being homeless but this experience gave us a small idea of some of the discomfort that sleeping out brings. It also gave us the chance to help raise money to support those who are in real need. There is still time to sponsor us, please be generous in your support and help us reach our target of £500 to this worth-while charity. Contact me to pledge your support, any amount gratefuly received. For my first year running my own business we were under the umbrella of Steelhenge Consulting based in Westminster, London. With a great working relationship in return we produced a whole range of designs including advertising, brochures, diagrams, web graphics, icons, flow charts, advertorials, echibition material, logo design, symbol design. Also stationery, reports, weather symbols, flyers and exhibition graphics. (some of this work is shown in the porfolio pages so please do have a browse). From January 2010 we are now Brandall Design and offer more services to our clients. For Christmas 2009 I designed a range of Christmas cards for businesses to have personalised for their own business. I donated 10p from every card to Salisbury Stars Appeal which is a very worth while local charity. Through this I raised £50 for the charity, in 2010 I hope to raise even more - you know where to come for your personalised cards. Email me to find out about your very own personalised christmas cards. See my range of cards in my portfolio section.